Manchester United are reportedly moving closer to securing the landing of Tottenham Hotspur’s central defender Toby Alderweireld. 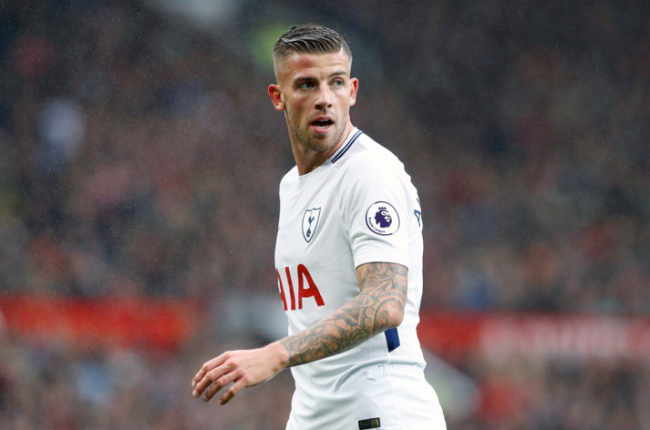 According to a report from the British tabloid newspaper The Sun, Manchester United manager, Jose Mourinho is determined to wrap up a deal to land Spurs centre-back Toby Alderweireld before the World Cup kicks off in Russia on Thursday. The Belgian star joined Spurs from Atletico Madrid back in 2015, for a sum believed to be worth in the region of £11.5 million, and Toby has since gone on to prove himself as one of the continent’s finest central defenders. His future in north London looks to be growing ever more unsure with every day that passes, however, following a challenging season with Tottenham Hotspur last season. Davinson Sanchez’s rise to prominence at the club seems to have given Argentine manager Mauricio Pochettino the confidence that Toby is far from indispensable, and should they receive a significant offer for his services, it would be no surprise to see the Lilywhites cash in. According to the same report, Manchester United are desperate to complete a deal for the Belgium international within the next 48 hours.